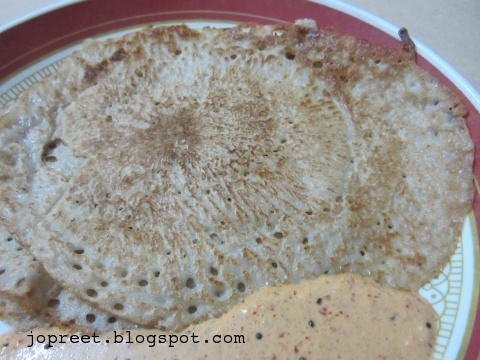 Mix the millet flour portion by portion to the dosa batter since it forms lump. Mix all well and sufficient water. Heat a tava and apply oil on the surface. Take a ladle full of batter and pour on the tava. Allow to spread it over.Apply oil all over the sides. Turn on the other side once it is cooked. Once done with cooking, remove from the tava and keep aside. Repeat the same procedure for the remaining batter. Serve hot with sambar or chutney. 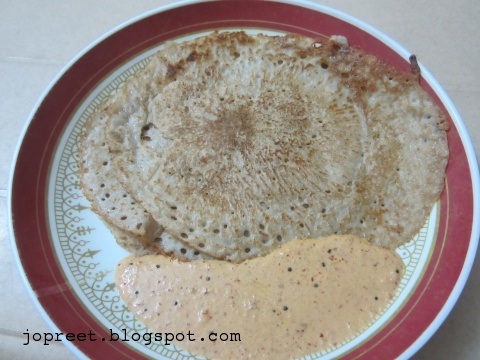 Very healthy dosa, nice with that chutney..
Lovely dosa .. I have never tried combining dosa batter with Bajra flour.. I've never used bajra flour.. a real yummy and healthy way to do so.. thanks for sharing! Never tried bajra..Looks healthy n delicious! !